Even though all of the criminal charges against Empire star Jussie Smollett were dropped last month, nobody is buying his story. Smollett has maintained his innocence after being accused of filing a false report, staging a hate crime against himself during the middle of the night in Chicago. President Donald Trump has already said that he wants the FBI and DOJ to take a closer look at the accusations against Smollett, hoping that the case gets reopened. 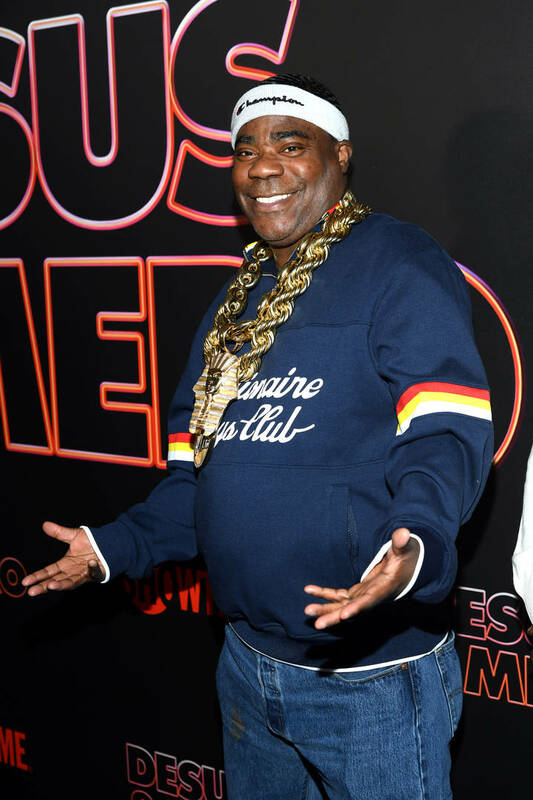 Last night, on The Tonight Show with Jimmy Fallon, Tracy Morgan was a special guest and he decided to have some fun at Jussie's expense, roasting him and causing Fallon to crack up with laughter. The comedian was teasing a new acting role, leading Fallon to ask for any exclusive details. When he revealed that he would be starring on Empire, Morgan went into the specifics of his contract. According to him, all he needs to do in order to keep his job is "not fake a hate crime." Tracy tried to keep a blank stare but even he had to laugh at what he had just said, calling Jussie out by name several moments later. When Fallon asked what the entertainer really thinks about Smollett's allegations, Morgan noted that he never believed anything Smollett was selling. "First of all, racist people don't be jumping nobody in the polar vortex," said Morgan before speaking about the discrepancies in the security footage. Watch his Fallon appearance below.